Can You Identify Different Types? The basic elements for a successful deer hunt are: know where the deer are bedding, know what they’re eating, play the wind, be there and shoot them somewhere along that line of travel. Fall deer hunting, particularly in the South, often occurs over cultivated, highly nutritious food plots. There’s nothing wrong with the strategy. However, when food plots are as empty as a ghost town, deer are obviously being drawn to more attractive forage. Where oak trees grow, it’s a good bet the local deer herd is busy gobbling up one of Mother Nature’s tastiest fall foods — acorns. Deer are attracted to acorns for their nutritional value, abundance and size. Acorns are rich in nutrients. Percentages vary from species to species, however, all acorns contain substantial amounts of protein, carbohydrates and fats, as well as the minerals calcium, phosphorus and potassium and the vitamin — niacin. More than 450 oaks occur world wide (90 in the US) and make up two large categories. The white oak category fruits in one season and the red and black oak category fruits after two seasons. The first group has leaves with round lobes and no prickle points at the leaf tips. The second group has points at the end of their leaves and scales on the caps of their acorns. Although acorns are low in protein content, (6 percent), they’re high in carbohydrates, (42 percent) and fats (52 percent). 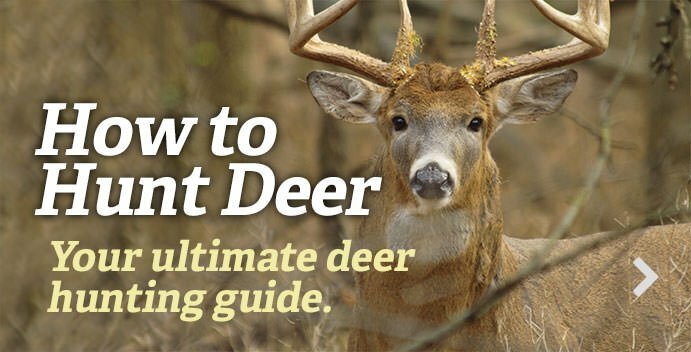 They are easily digested, their nutrients readily absorbed, and they are processed and passed through a deer’s body quickly. Because deer digest acorns so easily, they eat lots of them each day and the sheer numbers eaten by individual deer provide the protein needed for healthy deer. Typically, in any given year within an area, there will be one species of oak that produces well. Water oaks produce, to some extent, annually, but rarely do all species produce bumper crops in the same year. Acorns are a preferred deer food source in the eastern states and constitute up to 25 percent of a deer’s autumn/early winter diet. It is widely believed that severe drought is a trigger mechanism for abnormally heavy acorn production. Many biologists believe drought stress causes desperate acorn production as a propagation mechanism. Another theory is that in early spring when oaks are blooming and pollinating, the lack of rainfall allows pollen to cover more blooms and grow into acorns. If conditions are normal, acorns can be a scarce commodity the year following a heavy crop. White oaks produce a crop every other year and a heavy crop every third year. Red oaks, pin oaks, swamp chestnut oaks, and all the rest produce a crop every other year. The key here is to identify which species of oaks will produce acorns this fall and concentrate on hunting those trees. You will have to give up your cozy shooting house and hunt from climbing or hang-on treestands, but the rewards will be worth the effort. If severe drought persists over two years, it is possible that oaks produce back-to-back heavy crops. If mature oaks that were stressed the previous year by drought have to endure that situation again there could be a die-off of mature oaks. In order to propagate the species under stressed conditions, trees put every resource toward production of fruit. Those trees may not recover from two years of drought stress and all-out fruit production. Just because you find acorns on the ground does not necessarily mean you have found a deer hotspot. Whitetail deer prefer certain varieties of acorns over others. All acorns contain certain amounts of tannic acid, (tannins) which affects palatability. The level is lowest in white oak acorns, thus they’re a deer’s No. 1 choice. Generally, white oak species have lower tannic acid levels than the red and black oak species. Live Oak: Typically produces a crop every year. Lower in preference due to high tannic acid levels. An advantage of hunting over acorns is they fall where deer live. Mature bucks may feed in timber at any time of day, especially if security cover is close. Savvy hunters know deer may key on acorns from one white oak tree over others nearby. As the season progresses, deer consume the most palatable local mast crop, then move on to the less desired varieties. Some experts speculate that tannic acid values vary from tree to tree. Another theory is that accumulated deer scent could attract other deer. How do you locate that magic tree? To tag a big buck during acorn drop, do your homework. Scout effectively. Use a mobile hunting app such as ScoutLook to record data in the field. A tree identification app such as Tree ID USA can identify trees in your hunting area. Learn the typical year-to-year peak mast production cycles. When preseason scouting, use quality optics (www.nikonoptics.com) to check treetops for good mast producers. Later, using scent control, check the ground under trees for acorns, shell debris and caps. Be observant. Note the date when different trees appear to start dropping acorns. If deer are keying on a particular tree, there will be numerous droppings, urine odor and sign. Note any rubs and scrapes nearby. Assess possible stand sites, the prevailing winds and entry/exit options. Whether scouting or hunting, be observant of other wildlife activity to help find hot trees. Listen for acorns hitting the leaves and squirrels or flocks of grackles feeding. These animals are noisy when feeding on mast. It’s likely deer are using the area too. Be consistent. Mark the preferred trees, drop dates and a timeline of seasonal use by deer. Year-to-year data will show trends and up your chance of success when preparing for upcoming hunting seasons. Years of scouting and hunting our farm has taught us the productive and preferred mast trees. Though there’s debate on the effectiveness of fertilizing wild, growing mast trees, we choose a few mature trees each February and apply granulated 13-13-13 fertilizer in shallow, shovel-sized holes around the drip line of each tree in 10-foot intervals. Each hole receives 8 ounces of fertilizer. Dirt is mounded over it to prevent washout. Saplings and brush are kept cleared from under good mast producers. By expanding your tree and mast knowledge, an effective hunting strategy is possible to help boost your odds on tagging a bruiser buck. When acorns start hitting the ground, the deer will be there to hunt the nuts. You should be too.